Home / Uncategorized / Pure. Charcoal. Olive, Coconut, Charcoal Bar. 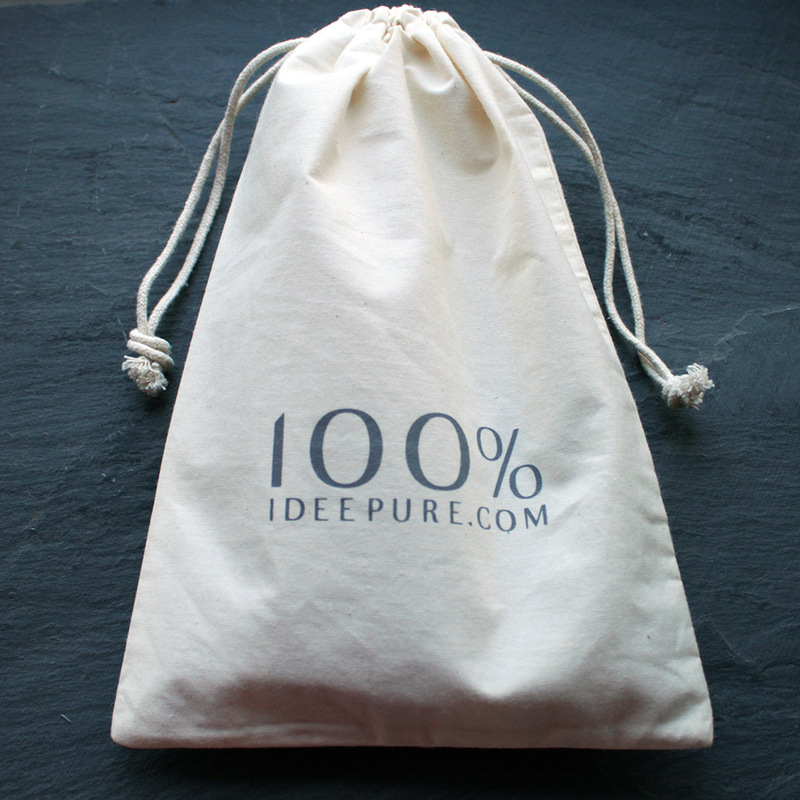 At Idee Pure all our soap is hand crafted in small batches. 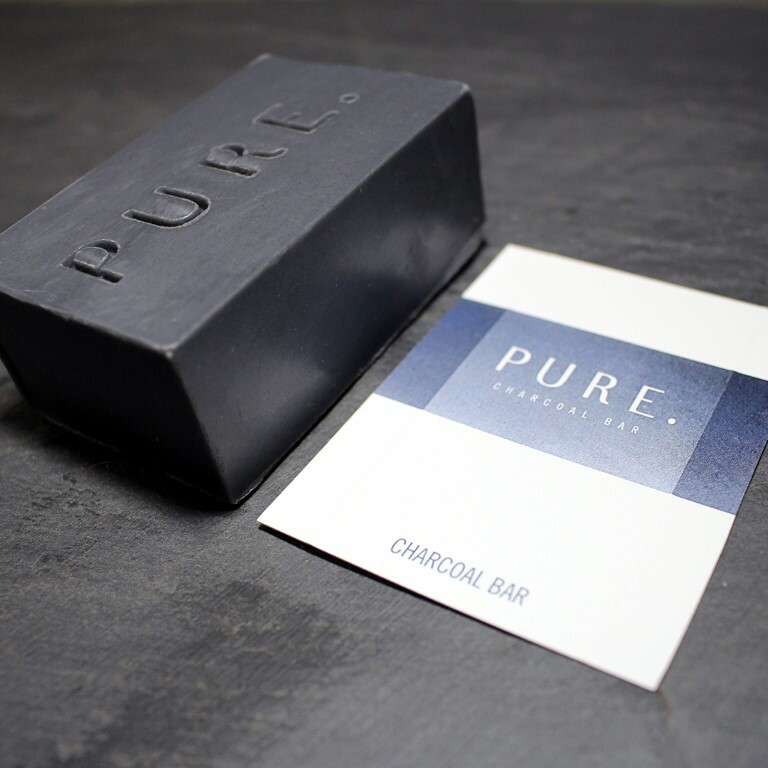 The Charcoal Bar is an all natural Cold Process soap which we now allow 6-8 weeks to cure. This means they will only ever be available in limited quantities. Perfect for the face and sensitive skin lather it in and leave for 30 seconds before rinsing off. Allow the charcoal to draw the impurities from your pores and let the premium coconut, olive and shea butter replenish and nourish the skin. 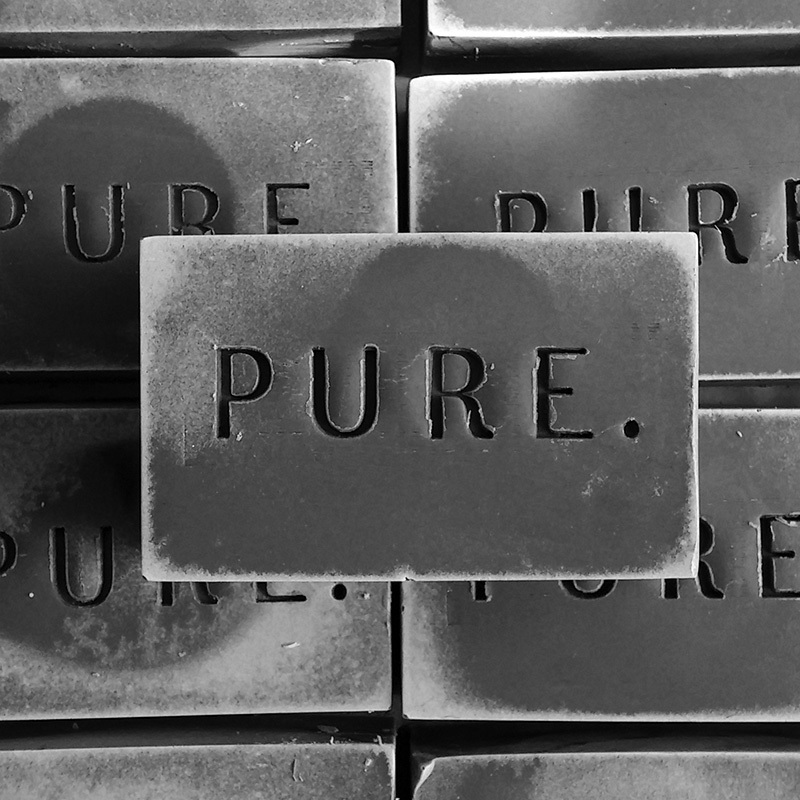 This handcrafted, vitamin rich, cold-process soap is perfect for everyday use. Premium ingredients and the power of charcoal helps to keep your skin healthy and looking great. 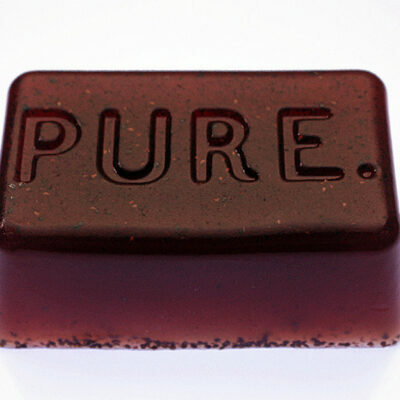 Preservative-free, SLS and SLES free, Palm oil free, 100% natural and vegan friendly. Each bar weighs a minimum of 100 grams. What goes into a Charcoal Bar? Olive and coconut oils are great for dry or sensitive skin. As natural emollients they moisturise without clogging the pores. Shea butter gives a creamy lather and contains vitamin A & E for added benefit. Rosehip oil is rich in Omega 3 and 6 and full of antioxidants. Pure tea tree essential oil has anti bacterial, anti septic properties and is often used to help fight common skin infections. Pure lavender essential oil is soothing, calming and known for its anti inflammatory properties. and draw dirt from the pores. 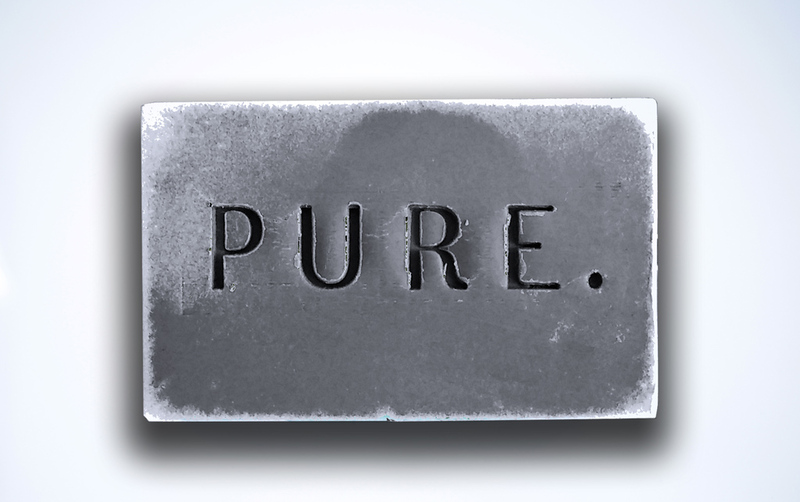 5 reviews for Pure. Charcoal. Olive, Coconut, Charcoal Bar. My favourite soap by far. Haven’t used another since I discovered it. Don’t just take my word for it, buy several bars today and you too could smell as sweet as me. I use this bar at least once a day! It’s really reassuring to know and understand all the ingredients in the bar. No nasty chemicals. I highly recommend it! I am writing you to convey my appreciation for receiving the soap in such a nice manner with a hand written note, I have been very impressed. The charcoal soap has been amazing and even after just one use I could see the difference in improving my eczema.